Last week (and this week, actually) was Bart’s spring break. On the Wednesday night before spring break began, Bart and I put the girls to bed, then decided to figure out something to do over the break. The weather in North Carolina was scheduled to be miserable, and we had all this time off stretching before us. Sitting at home seemed like a very bad option. Bart stumbled on some super cheap cruise tickets to the Bahamas and, after some quick debating (“will we get any sleep at all with all of us in one room?”) and a little encouragement from my mom, we purchased four tickets scheduled to depart five days later. The main hiccup was that we didn’t have a birth certificate for Ani (I know. . . I have no excuse except that dealing with government agencies makes me tired and I just ignored it for the last 15 months). After spending an entire morning getting copies of my license made, a notarized letter authorizing Landen to pick up the birth certificate in Texas, overnighting said letter to Landen, and then making Landen use her Friday to go to the neighboring town to pick up the birth certficiate and then scan me a copy, we were good to go (thank heavens for sisters). We stayed up laaaaate Sunday night packing up, then got up dark and early, tossed the girls and our suitcases in the car and made the 7 hour drive down to Jacksonville, Florida (made even better by getting an alert from Duke that campus was closing due to severe weather). We managed to arrive at exactly the same time as our friends the Giles family (another MBA family we convinced to come along), then passed quickly through check-in and were on the ship. We ditched our sweaters and changed into shorts and flip-flops, then had lunch on the deck (the made-to-order Thai stir-fry was some of the best cruise food I’ve had). Somehow we got upgraded to a room with a window and. . . I think we might never be able to go back. Usually I hate being in the cabin, but with a big window, it was so bright and sunshine-y in there all day long. Almost every morning, the girls would wake up around 6:45 and then we’d bring them into our bed, open the windows, and snuggle for a good thirty minutes or so, reading books, singing songs, and listen to Ella tell us hilarious stories about her dreams. It was so fun. 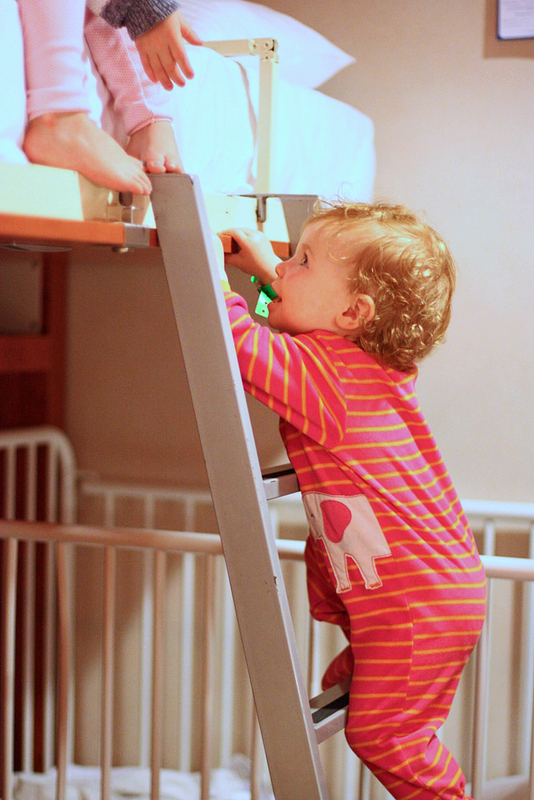 Carnival provided a crib for Ani and there was a pull-down bunk for Ella (every day, we took down the ladder and stuck it in the closet, and every evening the steward set it back up when they came to clean up the room while we were at dinner. The girls were NUTS about climbing the ladder and Ani successfully climbed it several times). This was the fourth cruise I’ve been on, and I think it was my favorite (of course, last cruise I was just spiraling downward into morning sickness territory, so this one was already starting with a serious advantage). I LOVED having our girls along. They slept remarkably well, and having so much time together with no school, work, smartphones, or computers was fantastic. Bart took a nap most days while Ani slept (and the other days, I sat in the hall and read for two straight hours). We played Uno and Parcheesi, did puzzles from the library, read books, played mini golf, ate ice cream cones, went swimming, and basically just enjoyed spending time together. I read four books, and Bart and I watched two movies after the girls went to bed (seriously – I thought there would be no sleeping, but we just put them in their little beds, turned off the lights and. . .they went to sleep. It was kind of like magic). We were able to catch a couple of the music shows too, thanks to swapping babysitting with the Giles. Ella also happily attended Camp Carnival (Ani was too young for any of the programs – you have to be two) most days for at least an hour so, usually while Ani napped. I’d take my book and read completely uninterrupted for a good long stretch, then I’d pick her up, we’d go back and get Ani and Bart, and all go to lunch together. Also, cruising with Ella was a little bit like cruising with a celebrity. By the end of the week, I swear 75% of the staff knew her name. They asked to take pictures with her, whipping out their cellphones to snap photos, they joked around with her, folded napkins into animals, passed her extra candy, and stopped by multiple times per meal. On our day in Nassau, we bought day passes to the Wyndham Resort, after several people recommended it. They were $20 per adult (kids were free), and the beaches were the most beautiful I think I’ve ever seen. Perfect soft white sand and crystal clear water, plus very few people around. Our girls were in heaven (and so was I). Swinging in a giant hammock with Bart and the girls, 10 yards from the water, was total bliss. On the second day, we visited a tiny private island which was delightful, but not nearly as nice as the Wyndham beach (this one has a bunch of tiny pinecone things and Ella was super unhappy about those). Also, an unexpected bonus of the cruise? The humidity made Ani’s hair SUPER curly. I couldn’t get over it all week long. 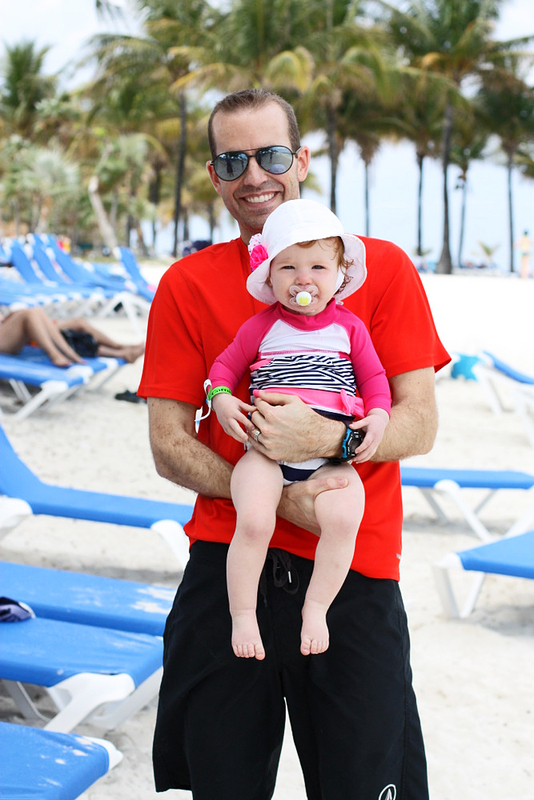 This was our first real family vacation as a family of four, and I couldn’t have been happier with how it went. It was basically perfect (despite Ani definitely doing her fair share of loud loud screeching (that girl has LUNGS), and a few meltdowns here and there). I especially loved it when they turned down the lights and played music during dinner and all the waitstaff would dance. My girls both are music lovers, and they both were immediately clambering down from their seats and dancing along to the music. Also, sharing one room meant we got a LOT more sleep than usual – with not a lot of places to go after our girls went down at 7:30 or 8:00, we usually went to bed ourselves before 10 p.m. It was glorious (I say as I write this post at ten minutes to midnight). So fun! You're making me want to go on another cruise soon! 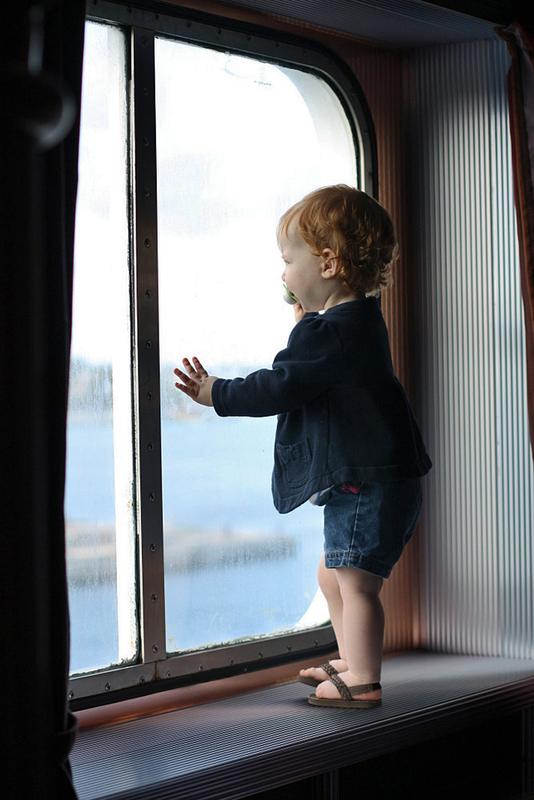 What's the youngest you'd recommend taking a baby with you on a cruise? 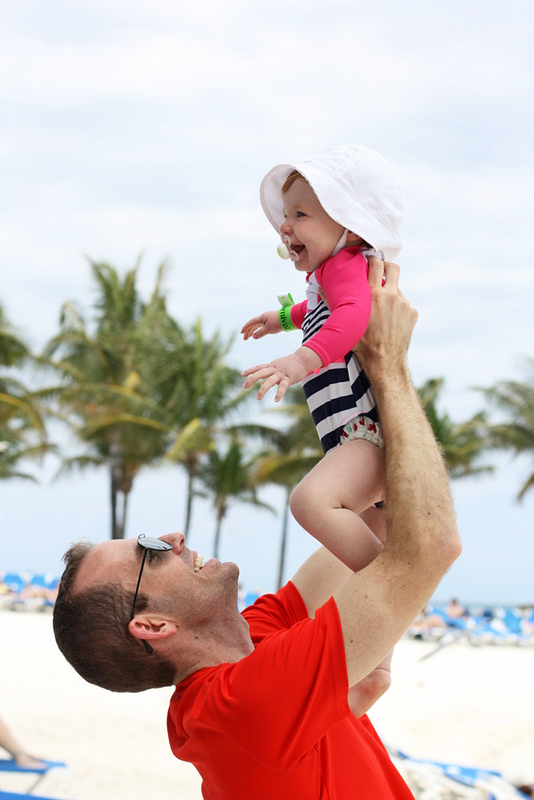 I think most cruise lines won't let you take a baby younger than 6 months. I think anything past that would be fine. 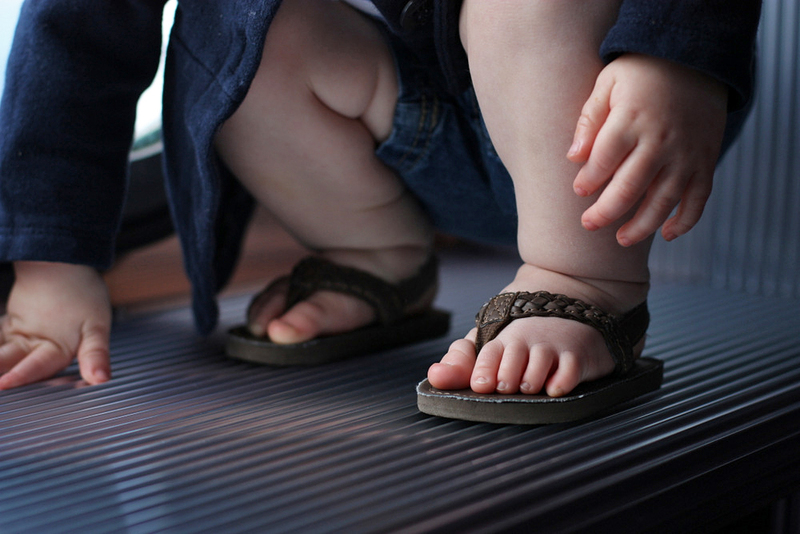 I do think crawling would be hard – either too little to crawl or old enough to walk. This sounds like SO MUCH FUN. And those tiny toes in flip flops? Cutest thing ever. When I heard you guys were going on a cruise I got cruise envy and started looking at prices, I didn't realize how cheap they were! Too bad Derek is in PTO Debt until July for all the time we took off for Christmas! I'm glad to hear your girls slept well for you! Did you have to pay full price for both of them? Or are kids cheaper? Full price. Having four to a room brought the price per person down, but I don't think it matters the age of the person. What a fun week!! Now I'm itching to go cruising! Sounds divine. How much were the last minute tickets? $214 a person for five days. ani looks so grown up! when did that happen? oh wow that sounds like so much fun! I too would have been seriously hesitant about having the kids and all sleeping in one room. We've never done a cruise, but always sounds so awesome. Your spontaneity paid off! It looks like you had the best time. I know just how you feel about curly-haired babies. I am crazy about mine. He might never get a haircut. What great photos! We are going to Mexico later this month and I hope it is as big of a success. 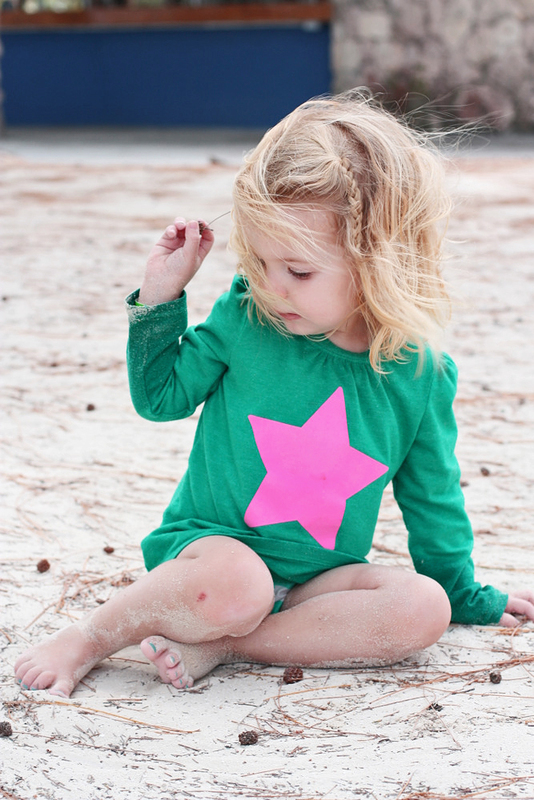 I also am not cutting my kids' hair before the trip because I really want those amazing beach curls! I love the spontaneity. Sounds fun. I'm jealous that Bart has two weeks of spring break! We only get one. But I never had spring break at BYU so it's super exciting! Sounds like a wonderful getaway! We also made spontaneous plans to go to the Bahamas in a few weeks and I can't wait! Did you not need passports for the kids? Were birth certificates enough? COPIES of birth certificates were enough! We love family cruises! I think our kids were about the age of Ella and Ani the last time we went. It's been too long! Sounds amazing. What an awesome last minute trip. 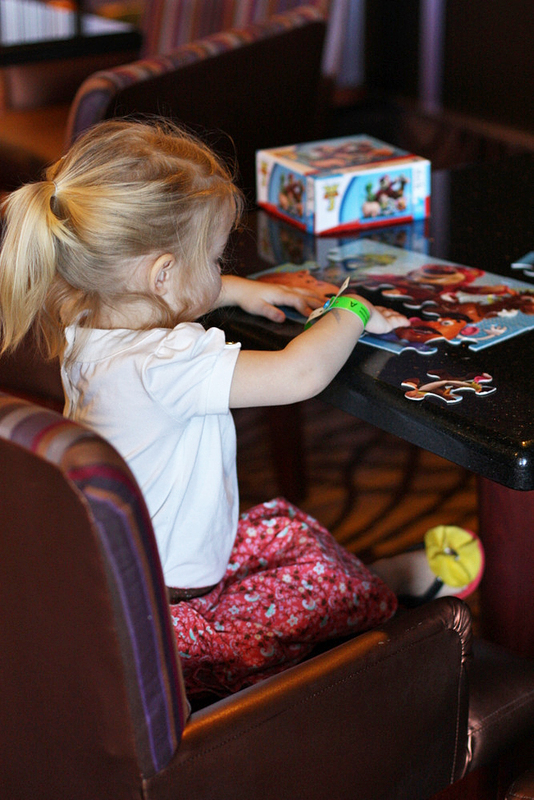 I love the idea of a cruise with kids in tow! I love that you took this trip on a whim! 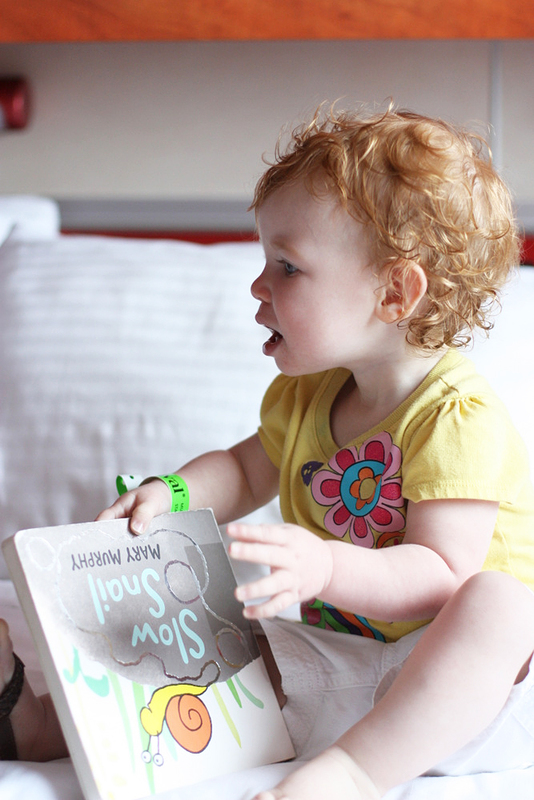 Your pictures are darling, and I'm DYING to take our girls on a cruise now! Any advise on where to pick up last minute cruise deals? 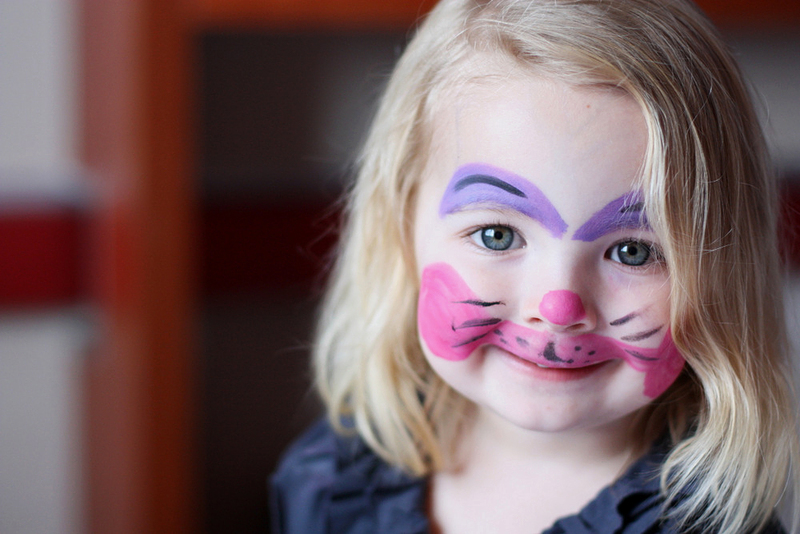 We are considering doing one in October, but really won't know until last minute. Better get the passports ready just in case! We just found ours on the Carnival website. So. . . no good advice from me. Sorry and good luck! VacationsToGo.com has cruise deals! 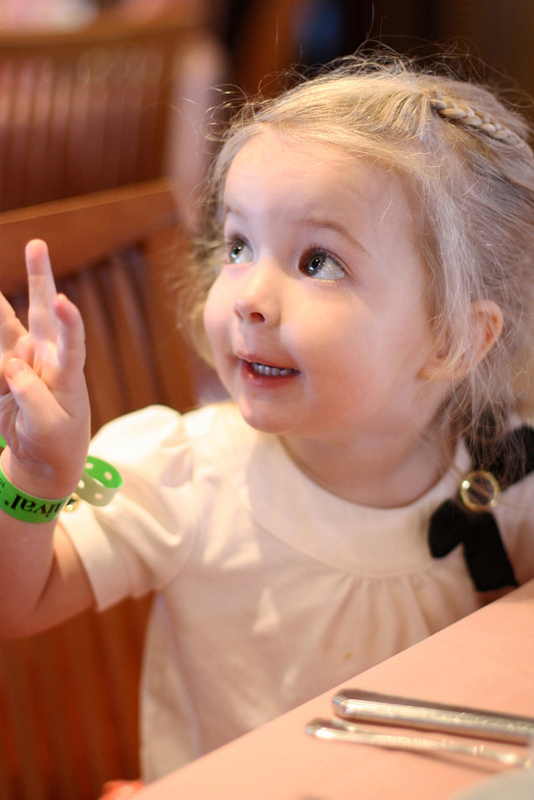 We found our super deep discounted deal for Disney last October through them. (And then booked through Costco.) October is a SUPER cheap time to cruise!